Kensington is a unique neighborhood due to its geography and the nonstandard layout designed by its developers. Because it is a narrow peninsula isolated on three sides by steep slopes, much of which is dedicated open space, it has the ambience of a small town. Its winding streets contain mostly owner occupied, custom single-family homes. Kensington extends north, along tree-lined streets to the southern rim of Mission Valley. Kensington has a small business district consisting of five blocks on Adams Avenue. Its central feature is the compact Kensington Park on which is centered the public library, considered the heart of the community. 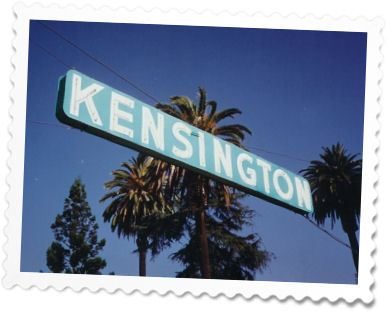 Named for a borough in London, England, Kensington is a pioneering subdivision dating to 1910. With its stone gateways, ornamental lighting, and curving streets, the neighborhood is a strong candidate for designation as a historic district. The homes are all unique and all with a distinctive individuality acquired over generations of proud home ownership. Homes are located on narrow streets with the garages placed at the rear of the lot or off alleys. This creates a wonderful pedestrian-oriented community where everyone walks and knows their neighbors. 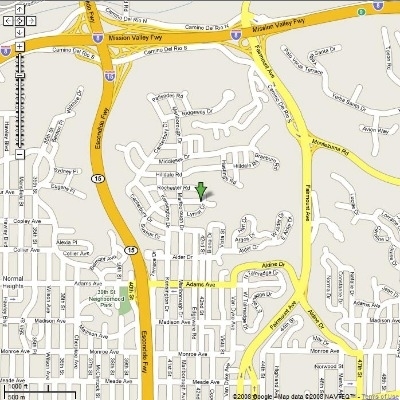 Located south of Interstate 8, just east of SR-15, west of San Diego State University, Kensington can be easily reached from any direction.